Hello Buddy , Here I want to Get Uttar Pradesh State Entrance Exam Scoring And Negative Marking Details and Exam Pattern Information , Would you plzz give me Same ? 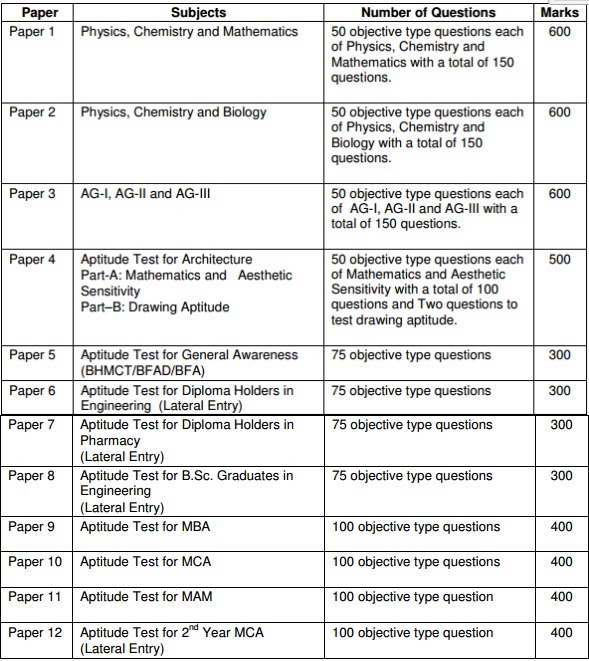 UPSEE will be Conducted for Twelve Papers with Objective Multiple Type Questions Except Drawing Aptitude test ( Part B of paper 4 ). A Record of Incorrect Answers given by a candidate will be kept separately. All objective type questions are required to be answered on a specially designed OMR answer sheet against the respective question number. Candidate is supposed to select only one choice for correct answer in each question. Answers in OMR based examination ( Paper 1, Paper 2, paper 3 and Paper 4 ) are to be marked using ballpoint pen ( Black / Blue ) only.